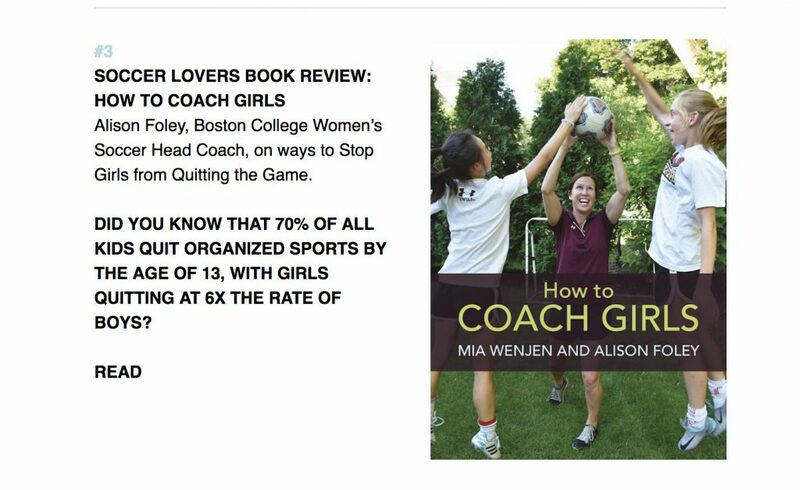 Thank you to everyone who read about HOW TO COACH GIRLS! We trended at the #3 spot! 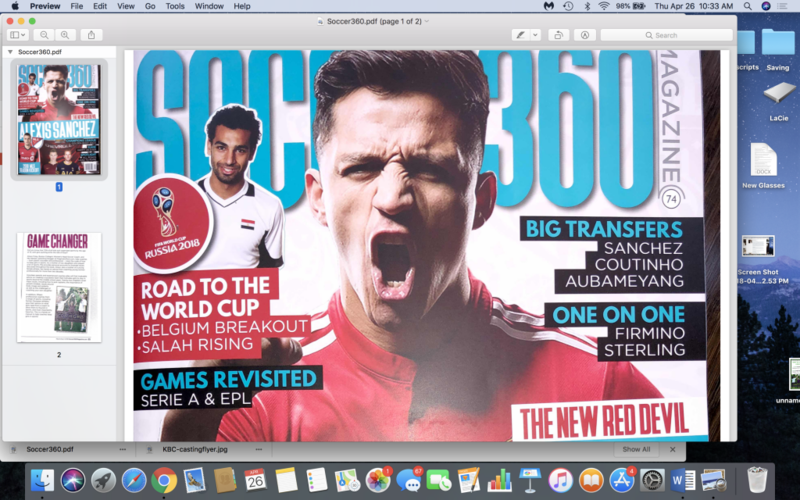 We are thrilled to be in Soccer 360!n The article is titled “Game Changer”: Soccer360. 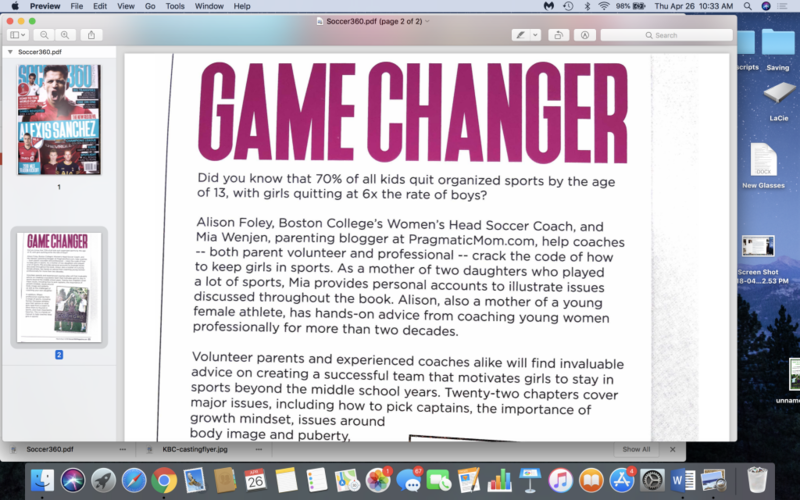 The book is designed to help coaches, namely those in youth and teenage sports, navigate the space and keep girls in organized sports. 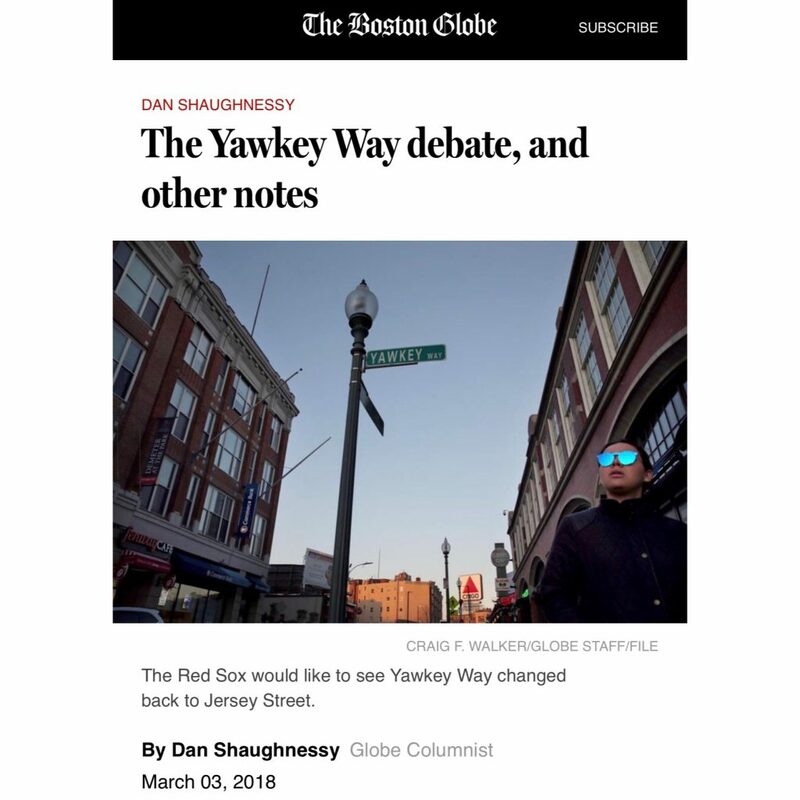 It’s available for purchase here and at local book stores. 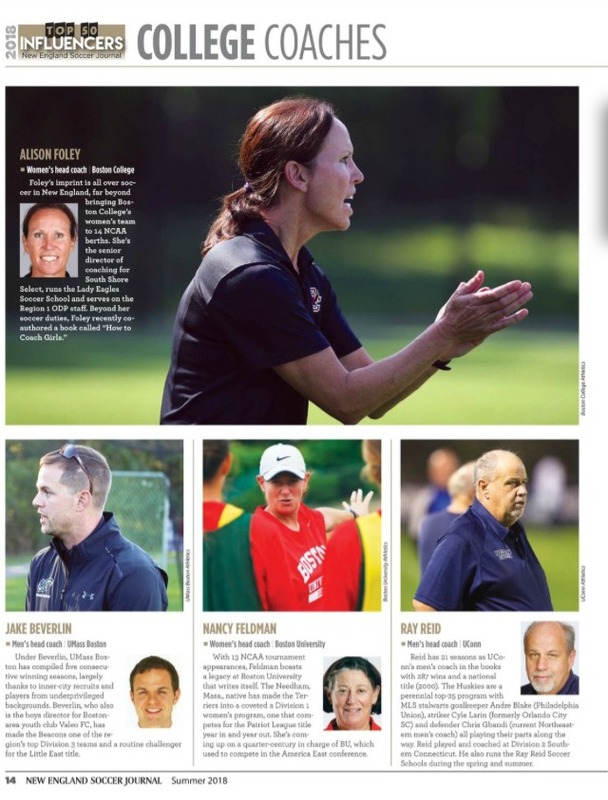 Foley also shared advice to prospective college soccer players, namely what she looks for on and off the field. 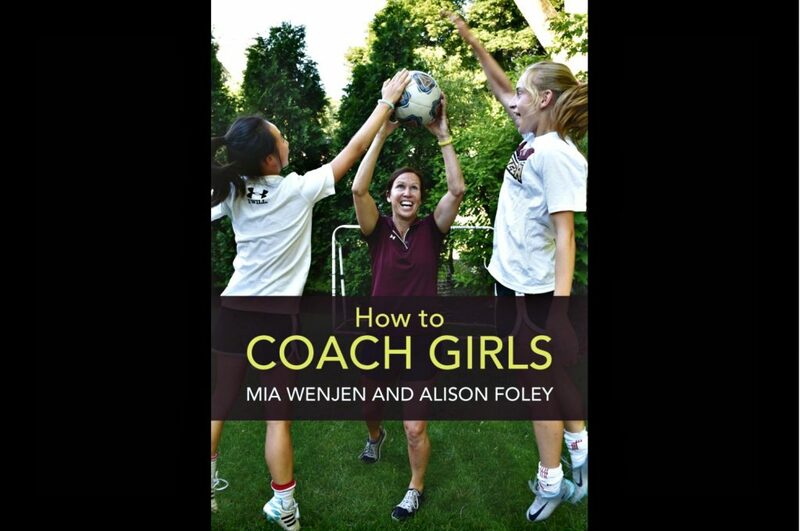 Foley and Wenjen will have a book signing for “How to Coach Girls” from 4 to 6 p.m. on May 12 at the South Shore Sports Center in Hingham. 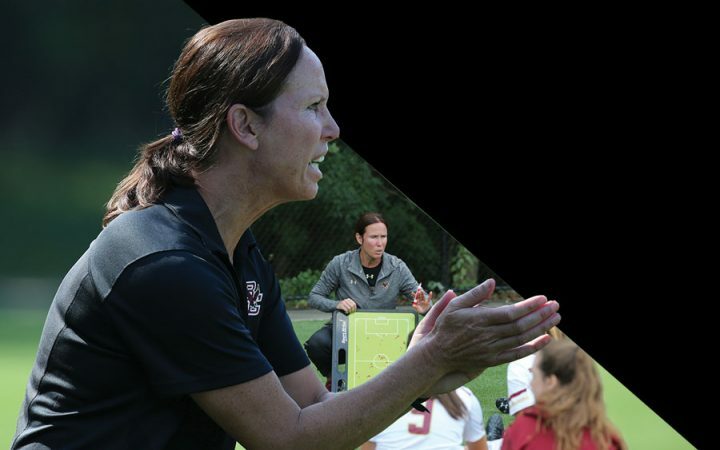 WBZ’s Laurie Kirby speaks with Alison Foley, head coach of the women’s soccer team at Boston College. Two major milestones in one year – it’s not something many college coaches in any sport can say they’ve accomplished. 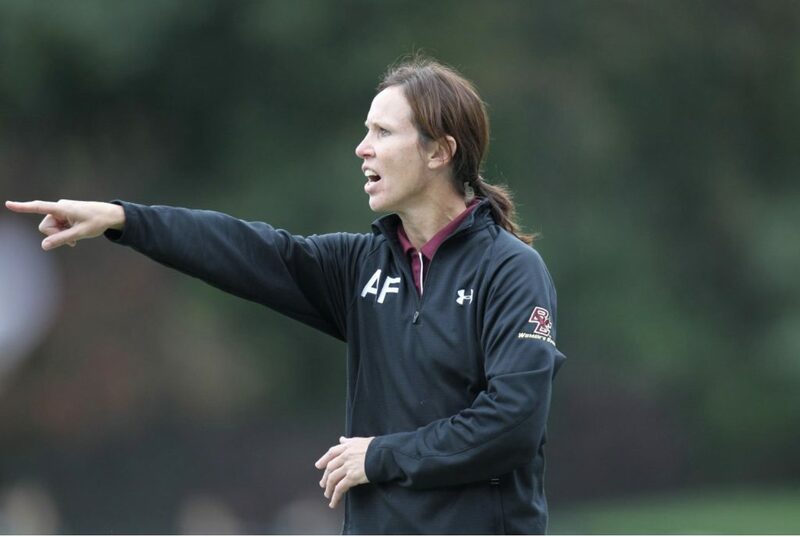 Plymouth native Alison Foley, the head coach of the Boston College women’s soccer team, joined an elite group when the Eagles beat Maryland, 2-1 in overtime, Sept. 22. She earned her 200th career coaching win. Four weeks later, when the Eagles beat one of the top teams in the nation – Wake Forest – Foley earned her 200th career win at Boston College. 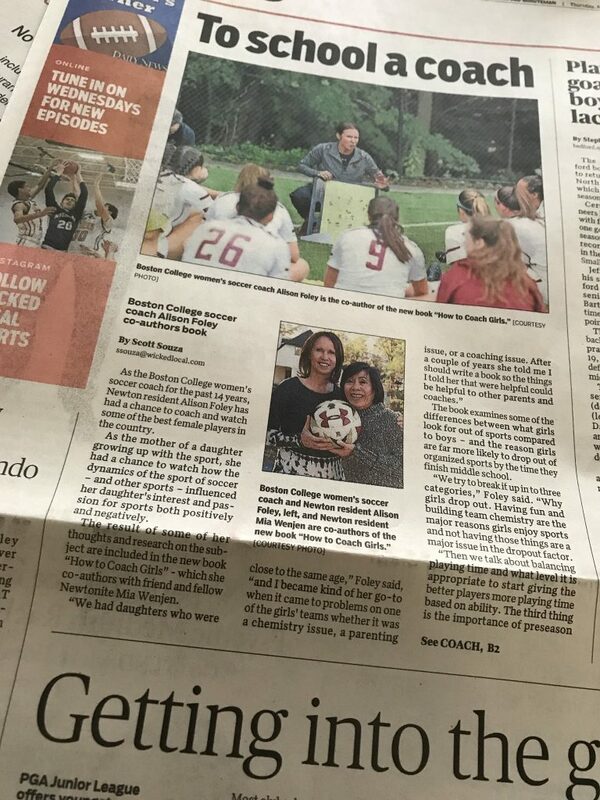 “As the mother of a daughter growing up with the sport, she had a chance to watch how the dynamics of the sport of soccer – and other sports – influenced her daughter’s interest and passion for sports both positively and negatively. The cornerstones of this book are a recognition of the vast differences that exist between girls and boys, and the distinctive needs these differences create for girls. 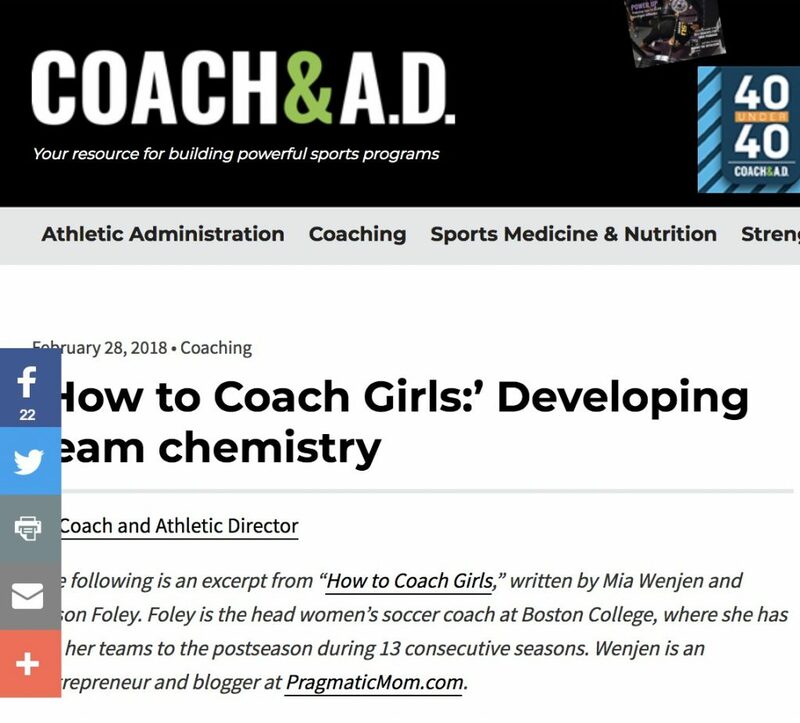 The authors contend that, in order for girls to realize their full potential, their specific needs must be specifically addressed in the way coaches develop their female players. For example, boys are generally more confident and tend to inflate their abilities, whereas girls often doubt their own abilities; they are afraid to fail and let down their coach and teammates. Additionally, it is important for girls to be viewed as “whole persons,” not just as athletes. 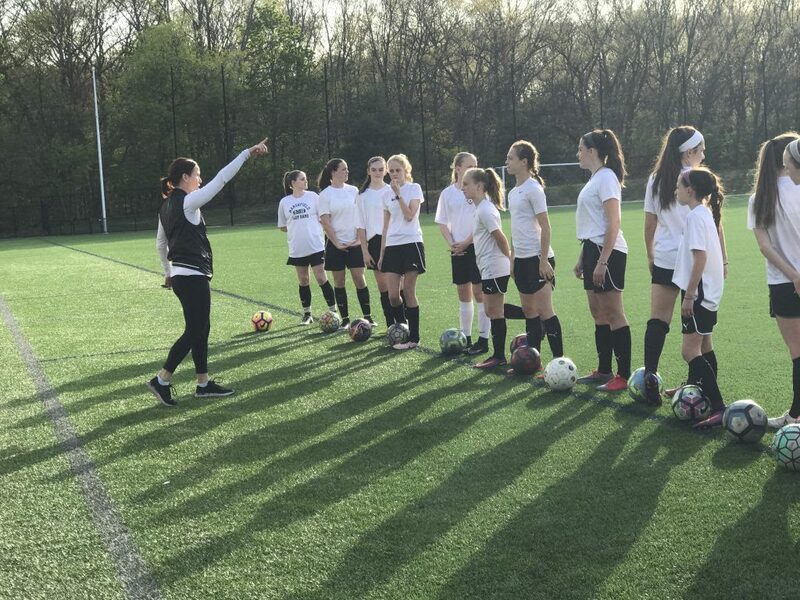 This means that coaches must focus on keeping it fun, building team chemistry and creating a safe and nurturing environment so the girls feel comfortable with the possibility of failure. Girls who trust their coach and feel a strong camaraderie with their teammates will work harder and progress faster. 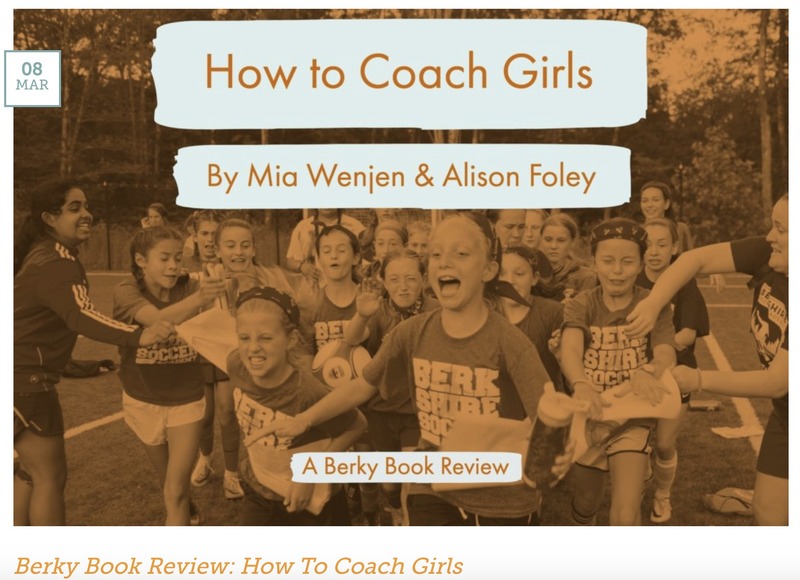 Highly recommended: “How To Coach Girls,’’ a new book co-authored by Mia Wenjen and Alison Foley. 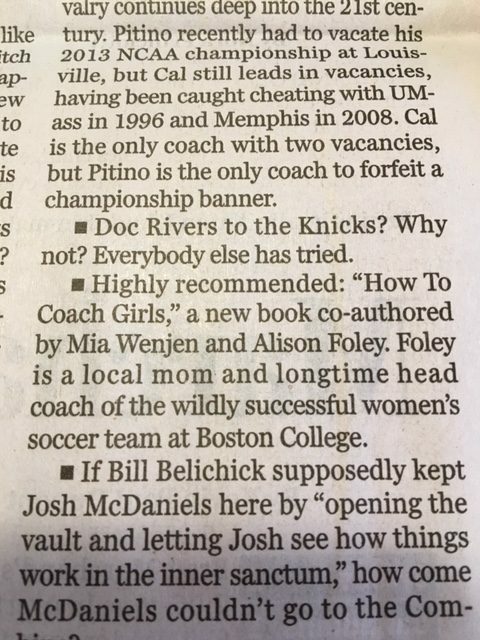 Foley is a local mom and longtime head coach of the wildly successful women’s soccer team at Boston College. The following is an excerpt from “How to Coach Girls,” written by Mia Wenjen and Alison Foley. 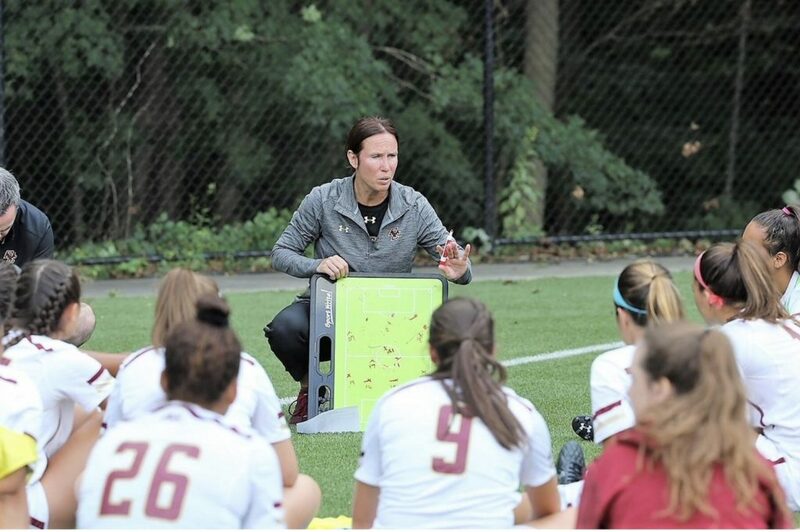 Foley is the head women’s soccer coach at Boston College, where she has led her teams to the postseason during 13 consecutive seasons. 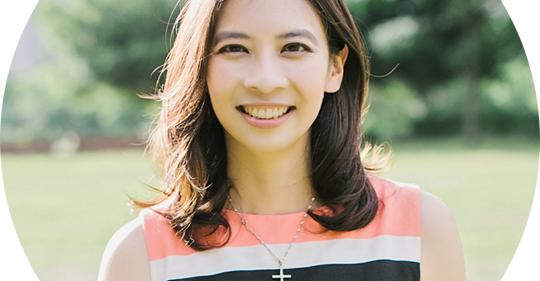 Wenjen is an entrepreneur and blogger at PragmaticMom.com. 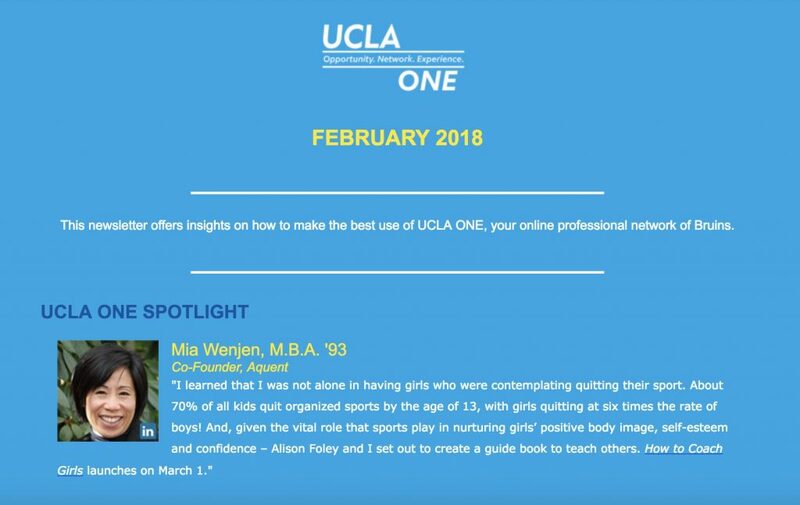 “I am writing after hearing Alison interviewed today on ‘The Coaching Academy’ on Sirius Radio. 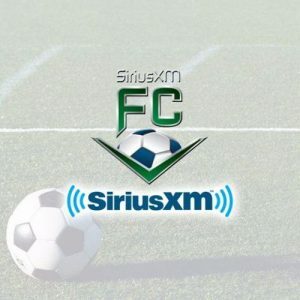 As a youth travel soccer coach for the past six years — and as a dad of four kids all playing in our local club — your thoughts really resonated with me. 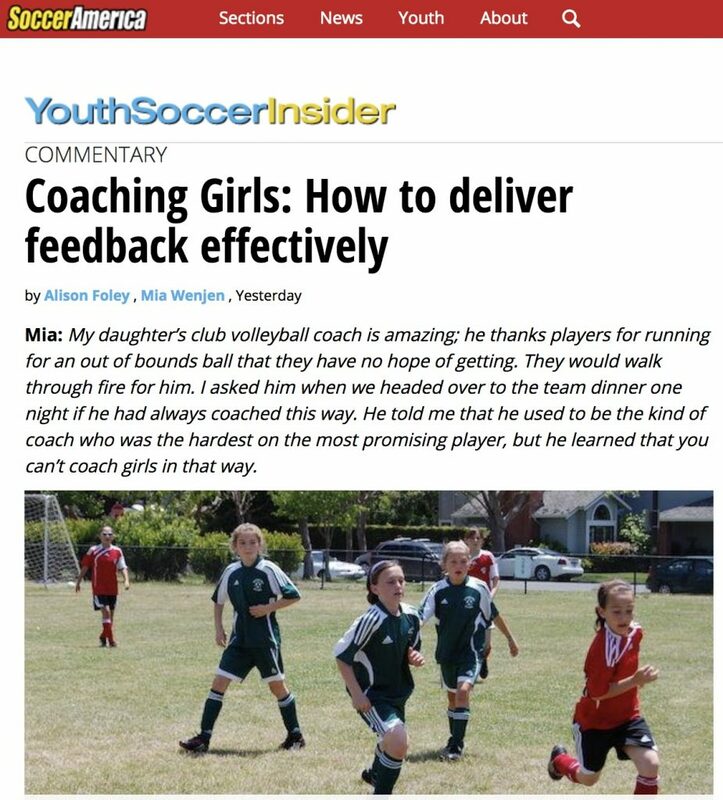 I am currently coaching my daughter’s U9 travel team and so many of the issues Alison mentioned were things I could relate to. We have a great bunch of kids who did amazingly well in our fall season but as great as things have been among the girls, I have to say, working with and dealing with some of the parents, and their expectations, has been a major headache! We’ve got clique issues. 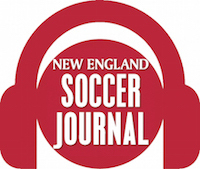 We’ve got issues with parents who want us to do more soccer (we already playing year round!). We’ve got parents (some of whom are experienced coaches in either soccer or other sports) with VERY strong opinions about how things should be handled, and aren’t too shy about sharing their opinions (my favorite; when we combined training with our ‘B’ team last summer, mostly because we had low numbers during vacation season, we got complaints that the ‘A’ players were not being challenged enough … at 8 years old!). We’ve got parents who are convinced that their kids are destined for superstardom. For the most part, though, what we’ve got a lot of parents who are going through youth soccer for the first time. They mean well. But some of them don’t get it. And as a result, after two years, I am utterly exhausted! One of the things I always tell people is that when it comes to youth sports, perspective and context is everything. There are folks in our club who certainly know soccer more than I do. I don’t have an advanced license. My soccer career ended by the time I got to high school. But having been through the youth soccer ringer for seven years, I do know that I’ve learned a thing or two along the way. I’ve learned that doing the right thing is more important than doing the most expedient thing. I’ve learned that you always need to think about the good of the team — and every kid on your team — and not just the good of your own kid. I’ve learned that you need to treat people with respect, and that tough conversations are best had over the phone or in person, rather than over email. I’ve learned that ‘A’ and ‘B’ is almost meaningless when the kids are younger, and I’ve also learned that if you just give a kid a chance to keep playing they usually get better (nothing makes me more upset than people casually talking about cutting kids when they are 7 and 8 years old!). More than anything else — and I was glad to hear Alison say this on the show today — I’ve learned that the most important thing is to make sure the kids have FUN. Because the moment the fun stops is the moment they stop getting better. I keep telling people this. But I don’t think they listen. They will have to learn it on their own — just like I did! 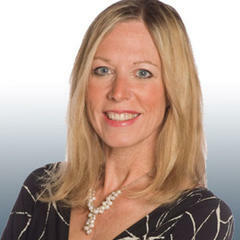 Mia Wenjen on Parenting Forward with Cindy Brandt. We talked about parenting, diversity books and keeping girls in sports. The video is here.